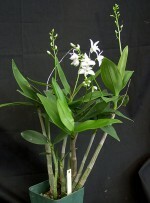 Awarded in both the U.S.A. and Australia, this nearly pure-white Dendrobium is incredibly prolific and hardy. 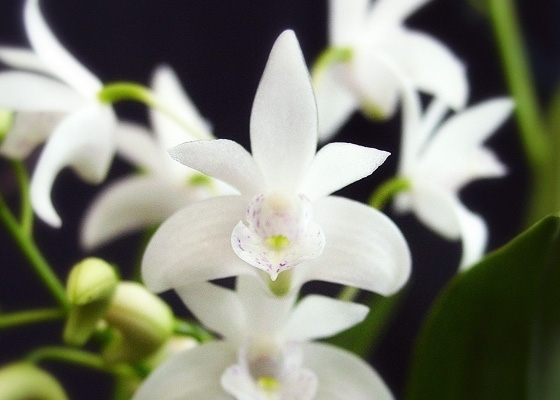 The clusters of snowy-white flowers get a hint of color from the miniscule purple speckles on the lip. .Temperature Tolerant. January - February blooming.